As technical devices offer continuously higher functionality, user behavior constantly changes. More than three quarter of “generation Y” does not leave the house without their phone anymore. Therefore, advertisers must simultaneously adjust their distribution strategy by increasing investment in mobile advertising and rethink the quality of created content. Mobile inventory is hard to monetize. Screens are too small to fill them with a variety of ad formats, but publishers are progressively dependent on mobile revenues. As display banners are mostly discarded at smaller devices, publishers require alternative ways to achieve profits from their websites. Several studies are predicting that mobile advertising spending will rise by more than 30% within the next two years. Yahoo states that in 2020 approximately 64% of mobile media budget will be invested in content marketing and native advertising. The digital mobile advertising landscape is demanding scalable solutions – native advertising and SEA represent the most promising advertising types within the industry, as stated in the “Predictions of native advertising 2016” from the Native Advertising Institute. By taking advantage of native advertising networks, advertisers are able to minimize cooperations with a large variety of individual publishing houses. Thereby manpower can be decreased for individual ad creation. As native advertising is characterized by the seamless integration of ads within content, the manual adjustment would be redundant. One stop solutions like plista offer distribution within a comprehensive publisher network and automatic standardization of ad formats. Even native advertising offers a variety of advantages, advertisers are still to implement it on a large scale. Appropriate content and a fitting ad format must be chosen to reach mobile user. As they recognize the time spent on mobile devices as “Me-Time” advertisement should not be intrusive and relevant for the user. Mobile users are most likely on the move and focus even more on appropriate content. By placing content in native ads, users consume ads non-intrusively and can voluntarily choose, if they want further information. Previous standardization approaches in programmatic regarding native advertising are, especially in Germany, still at a very early stage. However, programmatic advertising implicates great opportunities to strengthen mobile business and reach the right target groups. The programmatic trend is furthermore illustrated by growing investment in this segment and the rise of programmatic technologies in online, mobile and video businesses. Programmatic is maturing: from retargeting, remnant inventory to audience buying – the automatization of purchase, positioning and optimization of advertising minimizes human resources and fastens processes. Thereby, costs can be saved, transactions get more efficient and price transparency can be realized. 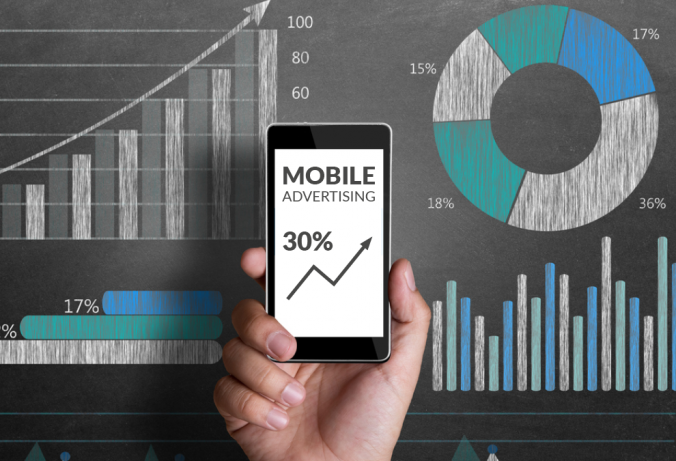 In summary mobile advertising offers a variety of opportunities but also requires changes within advertisers’ mindset and the courage to scrutinize and rethink current strategy. If you want further information on native mobile advertising, register for our monthly Digital Trends.